Pupils with disabilities have a constitutional right to school transport and failure to provide it is discriminatory. A case will be heard in the Pietermaritzbug High Court on Tuesday that will put these rights – and government failures – in the spotlight. By PUSELETSO NTHATE. Equal Education (EE) hopes to force the departments of basic education and transport in KwaZulu-Natal to provide transport for pupils with disabilities in the impoverished Nqutu area. EE is concerned about a lack of a transport plan for pupils travelling to 12 schools in the area. Investigating conditions in the area, it learnt that a mother had to carry her daughter to school until she was no longer able to do so. Another learner had to drive her electric wheelchair 5km because she cannot afford private transport. On Tuesday, SECTION27 will represent Siphilisa Isizwe, an organisation supporting disabled children, when joining forces with EE in a case to be heard at the Pietermaritzburg High Court. Siphilisa Isizwe was admitted as a friend of the court and it aims to represent learners with disabilities in Nqutu to be included in the province’s plans for scholar transport. Siphilisa Isizwe is based in and services the Umkhanyakude District, one of the poorest districts in South Africa. With an almost 60% unemployment rate, social grants are the main source of income for most people. About 182,153 children in the province (aged between five and 18) are disabled. This estimate includes pupils with physical and intellectual disabilities, which makes up 5.8% of all pupils in KwaZulu-Natal. People in this area walk a long distance to access education, health and social services and rely on public transport. EE is arguing that there was a lack of a plan and the existing policy was at odds with the rights to basic education and to equality. “Like many children living with disabilities around the country, the children in the district face considerable difficulties accessing education. This is further amplified by an education system that isolates children with disabilities to poorly funded special schools that often treat them as incapable of being educated. This has a particularly terrible effect on poor black children (with disabilities, who often have no opportunity to attend school at all,” added EE. In its founding affidavit submitted as part of the original application, the EE argues that the provincial MEC and heads department of education, and provincial MEC and heads of department for transport Community Safety and Liaison misunderstood the nature of its case. It said the provincial departments mistakenly believed the applicant was seeking available resources to be allocated. EE is in fact concerned about ensuring that there is a plan in place to transport pupils. “The provision of transport has been unsuccessful in 2015 to learners, so it brings this matter on behalf of the learners who initially brought this infringement of their right,” said EE in its affidavit. EE said the supply of textbooks and school furniture, being able to get to school to attend classes, and access to transport were fundamental rights to education. It added that more must be done to demonstrate realistic planning and provisioning for the immediate planning of the right to basic education. 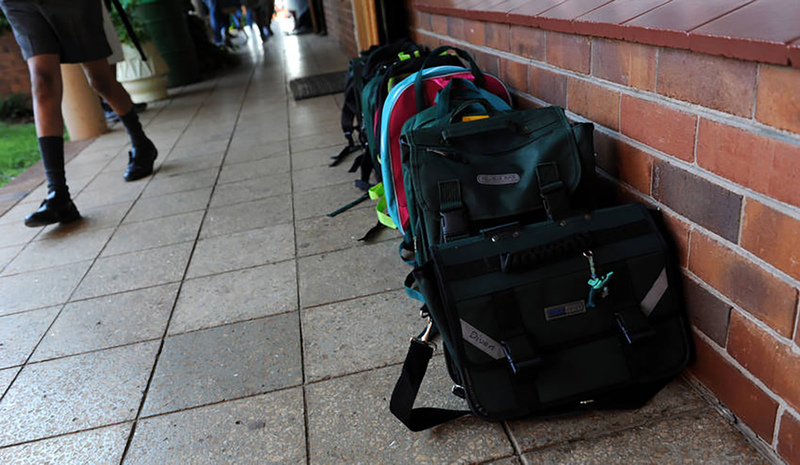 SECTION27 senior communication officer, Ntsiki Mpulo, says that the departments cannot claim that they do not have the funds to provide scholar transport, which forms part of the right to basic education – and this it is what they will argue in court. In its founding affidavit, Siphilisa Isizwe supports the claim that there is a “painful failure of interdepartmental planning and budgeting for scholar transport for needy scholars” in the province. Therefore, Siphilisa Isizwe in the submission will address the approach to interpreting the right to basic education as outlined by the jurisprudence in respect of the right, and whether or not budgetary constraints constitute a legitimate defence for the government’s failure to provide scholar transport. It argues that it is the duty of government to develop a comprehensive scholar transport plan that is capable of implementation, and which makes provision for the diverse transportation needs of learners with disabilities. “A judgment in favour of EE and in turn Siphilisa Isizwe will allow advocacy groups to put pressure on other provincial departments to provide pupils with transport, including pupils with disabilities,” added Mpulo.